Memorial Day marks the unofficial start of summer, and Americans will kick off the season by traveling in near-record numbers. 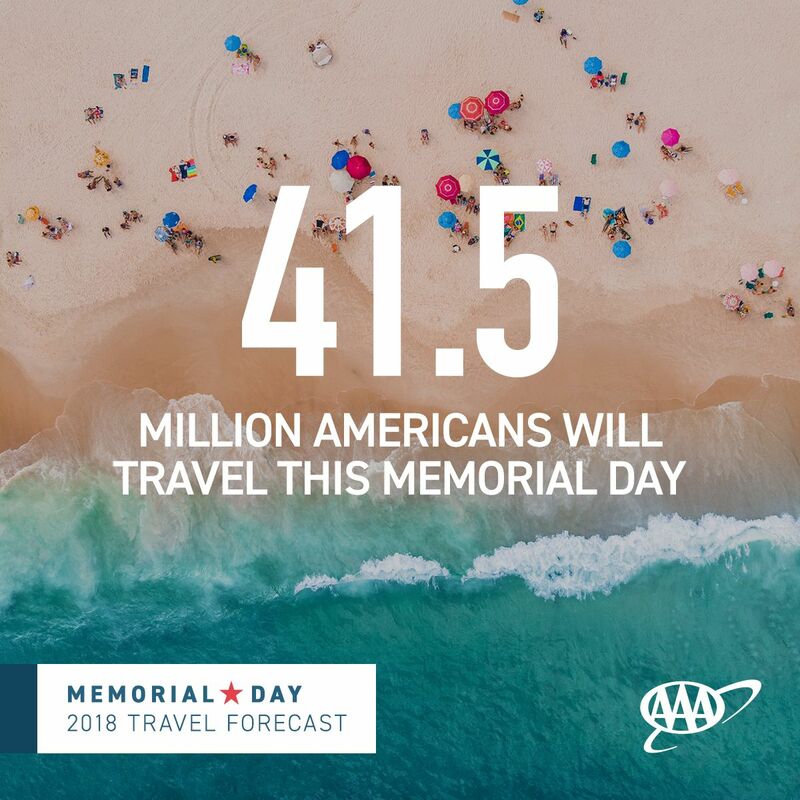 According to AAA, more than 1.88 million New Englanders will travel this Memorial Day weekend, 5 percent more than last year and the most in more than a dozen years. Nationally 41.5 million Americans will travel this Memorial Day weekend, nearly 5 percent more than last year and the most in more than a dozen years. INRIX, a global transportation analytics company, expects travel delays on major roads could be more than three times longer than normal, with the busiest days being Thursday and Friday (May 24-25) as commuters mix with holiday travelers. AAA projects 1.88 million New Englanders will travel this Memorial Day an increase of 5 percent. This is the highest memorial Day travel forecasted since 2005. Planes: Holiday air travel is expected to increase 6.1 percent to 150,00 leisure travelers. Trains, Buses, Rails and Cruise Ships: Travel across these sectors will increase by .1 percent to 27,000 passengers. Vermont’s average current price is $2.93 per gallon, which is 5 cents higher than one week ago, 17 cents higher than one month ago and 54 cents higher than one year ago. New Hampshire’s average current price is $2.87 per gallon, which is 6 cents higher than one week ago. 19 cents higher than one month ago and 57 cents higher than one year ago. Maine’s current price is $2.93 per gallon, which is 5 cents higher than one week ago, 16 cents higher than month ago, and 60 cents higher than one year ago. For the millions of Americans traveling by automobile, INRIX, in collaboration with AAA, predicts drivers will experience the greatest amount of congestion on Thursday, May 24 and Friday, May 25 – in the late afternoon as commuters leave work early and mix with holiday travelers. Several major U.S. metros could experience double the travel times compared to a normal trip, while New Yorkers could see three times the delay.